As previously mentioned, The Keepsies have a new seven inch. It is called Dumb Fun, and it is set for release on December 18th via Chrome Waves Records. Who are The Keepsies? Jason Kelly (of Fergus & Geronimo and Wax Museums) on drums, and Vince McClelland and Austin Brown (of Parquet Courts) on guitars and vocals. What do they sound like? Listen and have some dumb fun. 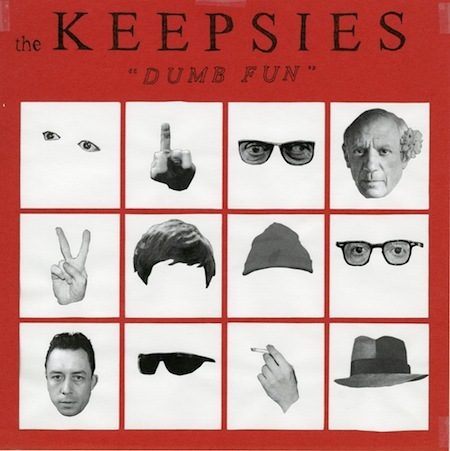 You can stream the rest of the 7″ @ thekeepsies.bandcamp.com. Hopefully, The Keepsies will play some shows around NYC in the not-too-distant future.